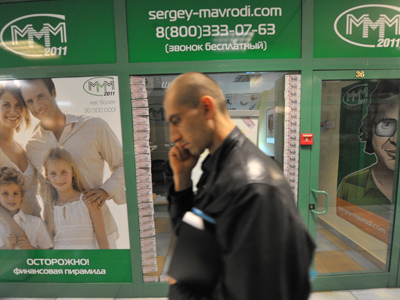 The financial pyramid called MMM-2011, launched by convicted fraudster Sergey Mavrody, has bankrupted. Mavrody is notorious for being behind Russia’s biggest Ponzi con in the 1990s, which left millions of families without their savings. Paying investors an astounding 40 per cent per month “is absolutely not possible in the present reality”, Mavrody said in an online video statement announcing the shutdown of the enterprise. He also promised to cover the rest of the debt by launching a new financial pyramid called MMM-2012. Mavrody also lashed out at Russian authorities for launching a criminal case against him, saying it had contributed to the downfall of his business. In May, Mavrody had to shut down all operations until June 15 amid a panic run of investors from his scheme. The run was caused by a Forbes report which said MMM-2011 had run out of growth potential and would have to bankrupt in July. In a Ponzi scheme, the fraudster pays unrealistic interest on investments by using the money he receives from new investors. The pyramid inevitably collapses after running out of people willing to risk their capital for a chance to be paid. 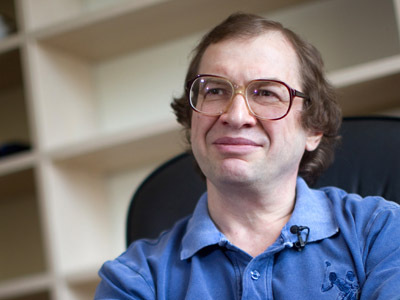 Mavrodi’s original MMM business stripped millions of trusting Russians of their money in the 1990s. 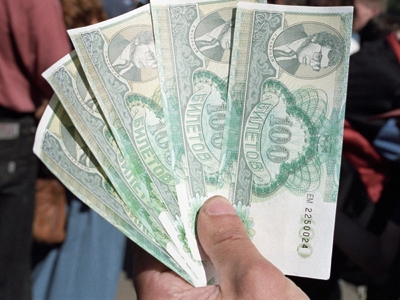 His was the biggest of several similar cons, which exploited immature financial legislation and the ignorance of the general, newly-capitalist, Russian population about financial business. The new MMM-2011 used online payments to shield from financial regulation. 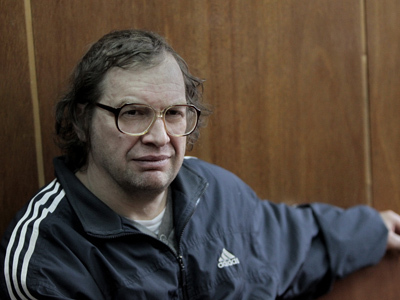 Mavrodi, who was sentenced to a prison term for the original con, claimed to have attracted 35 million investors, although the real number is probably much lower. He is currently facing a new criminal investigation, although it is not yet clear whether the authorities will be able to prosecute him again.